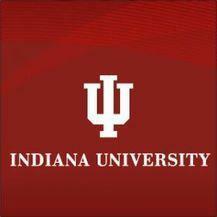 Indiana University has a long history of leadership in international affairs and foreign language scholarship and teaching. Many of its schools and departments are nationally ranked. The Intensive English Program at Indiana University, established in 1976, has provided an introduction to English studies for generations of students from virtually every country of the non-English speaking world. The course consists of three important aspects: the development of your ability to speak fluently, your pronunciation and your listening skills. Each are also available in own courses. This course is designed to develop speaking and listening skills of non-native speakers of English to facilitate effective participation in American university class discussions. Students will participate in discussion teams, lead group discussions and respond to comments made by the other students on their team. Students will develop pragmatic awareness through asking and answering questions, taking positions and reacting to others’ positions as well as evaluating their own and their classmates’ discussion techniques. Credit hours, though counting toward full-time student status, do not count toward the completion of a degree.